I work until I became disabled last year. Now I attend church with Cathy Maney and Sharon Eaker in Bessemer City. Just remembered Kathy Jackson's moment of glory as she was trying out for the Women's Olympic Basketball Team. However, we just have to remind her which team she plays for. Sometimes she gets confused! Me I knew I would never make it because I was afraid of getting hit with the ball and I never could run. Just as Robin Gordon and Beverly Brown. 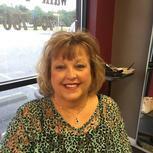 Sandra Gann Ballew updated profile. View. Sandra Gann Ballew changed profile picture. Sandra Gann Ballew added a photo to profile gallery. Sandra Gann Ballew has a birthday today.